Many people from around California, the United States and the World flock to Northern California to explore it’s many treasures. Whether visiting the beautiful Golden Gate Bridge or seeing the natural beauty of Northern California’s redwoods, there really is an endless array of incredible destinations. As specialists in the Sonoma Valley and Napa Valley, we here at Apex Limousine Transportation servicehave made it our goal to open the doors of Sonoma and Napa to all who wish to explore everything these incredible wine producing regions have to offer. For those who are beginning their journey of Northern California at Norman Y. Mineta San Jose International Airport (SJC), we now offer comprehensive limousine transportation from SJC airport to Napa and SJC airport to Sonoma! The Napa Valley is one of the most beautiful corners of Northern California. With a wide array of lush valleys and rolling hills this epicenter of American viniculture is world renowned for producing incredible wines. With a long history of wine production the Napa Valley experienced the normal set backs other wine producing regions in the United States did as well during Prohibition in the early 20thcentury. However, after the victory of Napa Valley wines at the 1976 Paris Wine Expo the region was back on the international vinicultural map. Wineries and vineyards began to sprout up and now the Napa Valley is one of the most well respected and rich wine producing regions in the entire world. Alongside the wide array of wineries are a number of Michilen rated restaurants focusing on local, fresh and organic California cuisine. The nearby Sonoma Valley is also a world class destination for all things wine. With a wide range of American Viniculture Areas (AVAs) that stretch from coastline to rural farming areas, the Sonoma Valley has winery destinations no matter what your tastes are. As the state’s oldest wine producing region yet second most popular, the Sonoma Valley has a number of smaller and boutique oriented wineries that really push the limits of pristine wine production. This historical wine producing regions includes a few wineries that have existed since the 19th century (Korbel, among others) that are currently some of the largest producers of wine in the entire country. With a wide range of wineries the Sonoma Valley is a great addition to a wider wine country tour of Northern California and exposes the depth and diversity of California’s wine producing regions. Here at Apex Limousine Transportation we are the number one limousine transportation providers of the Sonoma and Napa Valleys. For all visitors who are beginning their incredible journeys of this even more incredible wine producing region by flying into San Jose International Airport (SJC) we are now offering full limousine transportation pick ups and drop offs in the wine country. Here’s how it works: when you get in contact with us we will take note of your flight number and airline. On the day of your arrival we will closely monitor the status of your flight to ensure that we take into account any delays or cancellations that might occur out of your control. 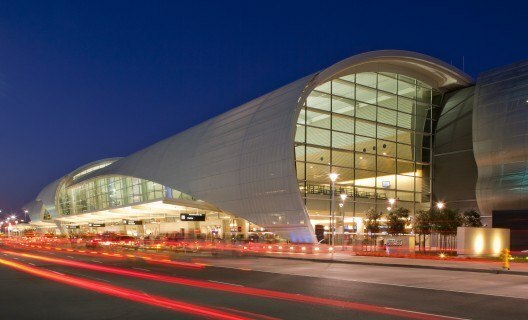 One of our professional limousine drivers will meet you in the designated pick up areas at SJC airport. Our drivers are the most professional limousine drivers in the business. All go through extensive background checks and safety training to ensure that you are in the best hands every single time. Our limousines are also state of the art beautiful vehicles that will surely never disappoint. They are always fully stocked, clean and consistently given check ups to make your ride to and from the wine country as smooth as possible. Our limousine driver will then bring you and your party in one of our incredible limousines straight up to either Sonoma or Napa at the location of your choosing. At Apex Limousine Transportation we are also the region’s number one provider of Napa and Sonoma limousine winery tours. Our deep roots and knowledge of the region along side our professional limousine drivers and incredible limousines stand us apart from the others. If you are interested in exploring Sonoma or Napa directly after your limousine pick up at SJC airport our drivers would be more than happy to bring you in one of our luxurious limousines to restaurants and wineries of your choosing in Sonoma and/or Napa. Of course if it is going to be your first time exploring the wine country then we at Apex will gladly help develop an itinerary that will show you only the best of either Sonoma or Napa. If you want to get settled in the wine country and go on a winery tour the next day or shortly after your arrival we are available for these services as well. Our limousine drivers with their deep knowledge and familiarity with both the Napa Valley and Sonoma Valley will not only bring you there from SJC airport but will also bring you on a full winery and restaurant tour that you will never be able to forget. When you ride with Apex Limousine Transportation you are getting more than a ride in a limousine – you are getting a full experience. We work hard to make sure that your limousine experience with Apex Limousine Transportation is one you will never forget. Whether traveling from SJC airport to Sonoma or SJC airport to Napa or through the wine country on a wine country tour, our limousines make every single ride an experience you will never forget. So let’s turn your wine country limousine dreams into a reality today. Give us a call and together we can explore everything the Northern California wine country has to offer and so much more.